Nose: Alcohol, spoiled onion, discount deli ham, ghost pepper. Palate: Full bodied and mildly sweet. Not much going on other than sweetness and a touch of caramel. No oak anywhere in sight. Finish: Light anise flavor followed by mild heat. Mixed: Due to the limited amount I had available of this whisky, I didn’t try Crown Royal Reserve mixed, except for with some soda. It was nearly impossible to taste in that application, but that’s probably for the best. 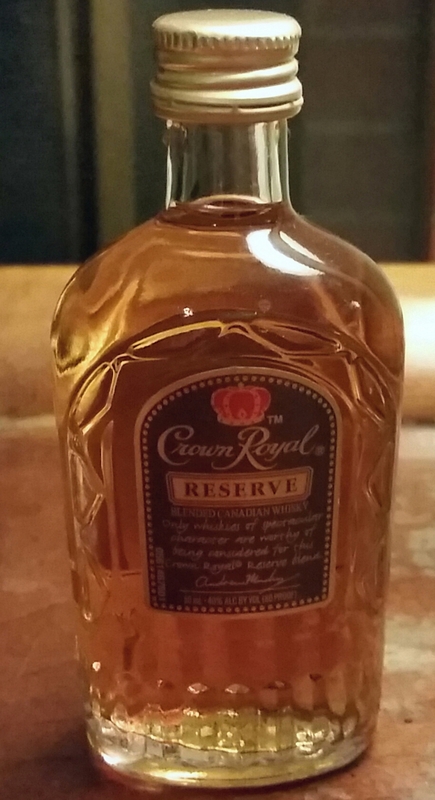 Parting words: I reviewed the standard Crown Royal a couple years ago and I didn’t like it. I was hoping the reserve would be better. I imagined something more rounded and refined. That is not what I got. Crown Royal Reserve is even worse than Crown Royal. The nose has gone from disgusting to putrid and CR’s grainy character has been replaced with a total lack of any sort of character beyond the garbage (literally) nose. The only pleasant part of drinking this was the delicate, but flavorful finish, but it doesn’t even come close to being worth the silly price. In the interest of being helpful, here’s a list of “reserve” or equivalent Canadian blends that are cheaper and better than CRR: Black Velvet Reserve ($13), Canadian Club Reserve ($18), Forty Creek Copper Pot Reserve ($27), and Gibson’s 12 ($28). Not to mention Alberta Dark Batch ($27), CC Sherry Cask ($22), Collingwood ($30) and Tangle Ridge ($18). Don’t buy this. Crown Royal Reserve is not recommended.